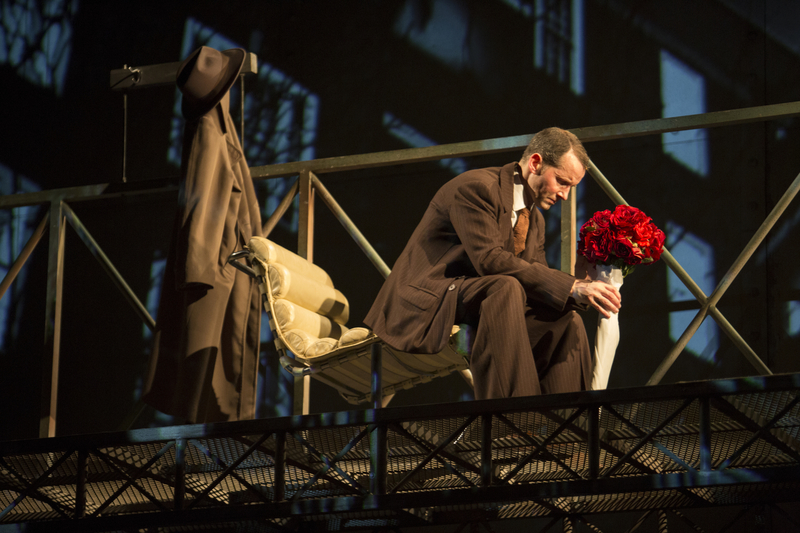 Noël Coward’s Brief Encounter is renowned for being one of the most haunting love stories. The award-winning Kneehigh production has triumphed in the West End, toured the world and received remarkable praise on Broadway, and now it is embarking on a UK Tour. Winning the hearts of the nation, set in World War 2 it centres on Laura, a married woman who meets stranger Alec and they fall in love. Jim Sturgeon is returning to the role of love-struck Alec for the third time, he said he ‘didn’t hesitate for a moment when he was asked to do it again.’ Directed by Emma Rice and based on the film Brief Encounter and the play Still Life, Emma has directed the story into a consuming 90 minutes of theatre intertwined with live music. For the tour, they’ve had a much longer rehearsal period that has allowed him to take more risks during rehearsal. “I’ve done a different accent this time which gives a different flavour to the character,” Jim being from Scotland himself, is returning to his roots and playing the role with a Scottish accent as opposed to RP (well spoken English). “The rehearsal room is the place to make mistakes and try those things around and play which has been great,” Jim added. Jim describes Alec as a decent and honest man whose heart is ruling his head. “I’ve been really lucky because every time I’ve done the show I’ve had a different lady playing Laura, so each time it has felt new,” he said. Brief Encounter opens at the Birmingham Rep on the 2nd of February, then moves on to the Lowry on the 20th of February before continuing on tour to the Empire Cinema Haymarket on the 2nd of March.